Charming short-term accommodations in Jacksonville Beach, and an intimate event venue to make your celebration memorable. Welcome to The Fig Tree and Company of Jacksonville. The Fig Tree Inn is a charming whole-house vacation rental, beautifully decorated, with six differently themed bedrooms, each with a private bath. The perfect getaway for entire families and large groups. The Fig Room is an intimate event venue, located on 2nd Street South, steps away from The Fig Tree Inn. The space includes a front hall and main event area, kitchen, and guest parking. Pablo Place includes all the comforts of home! This spacious place accommodates up to 6 people, and the fully fenced backyard makes it easy to bring your furry friend along. 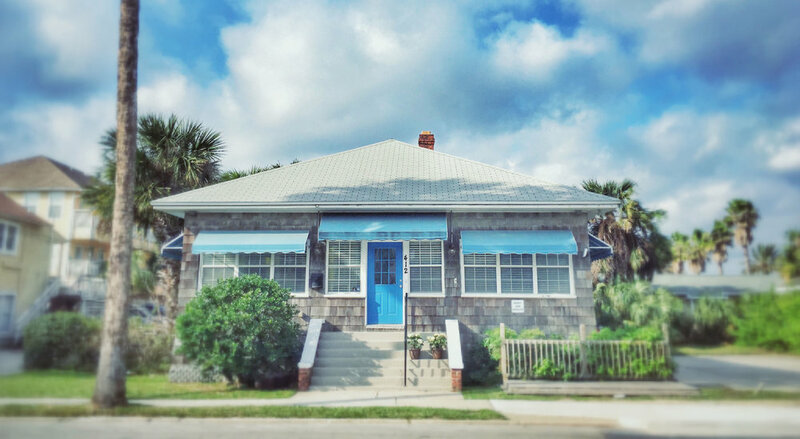 The 'Little Beach House' is a cute beach bungalow, located on 4th Avenue North, within walking distance to the center of Jacksonville Beach and all the festivals, nightlife, shops, and restaurants. Come play hooky with us! Playing' Hooky" is an adorable 3 bedroom, 3 bath, 3 story townhouse 2 walking blocks to the beach. Located in the residential area of south Jax Beach and a short drive to all the beach restaurants and bars nearby.